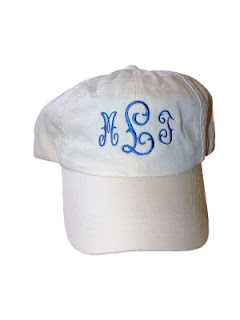 I love the font you used on your ball cap! If you don't mind sharing what is the font's name? Hi! 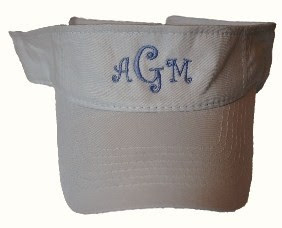 The visor font is curlz-or party time in monogram wizard and the cap is called monogram script also in monogram wizard - they are great for caps! do you do hats too? i just got some really nice colors - turqoise, lime green - but i do sooo many white ones, they just look great! i buy mine from sport-smart.com - its my friend Aimee's family business!